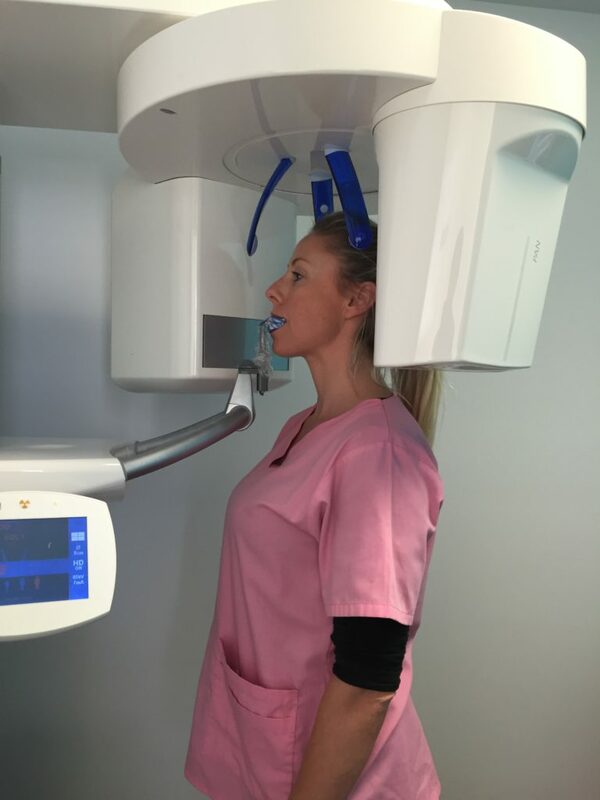 By installing the Sirona XG-3D Cone Beam 3D Dental Imaging System at Hopkins Dental, we can now provide extremely precise, quick, comfortable, and effective imaging to ensure the most accurate diagnosis possible. Cone Beam technology provides 3D data for: Implant dentistry and treatment planning, Endodontic Diagnosis, Pain Diagnosis, Periodontal Disease Diagnosis and many more areas of specialty care. With the aid of highly sophisticated hardware and software, diagnosis and treatment are integrated in a digital workflow that can accommodate complex dental procedures at a level of precision that was never before possible. The ORTHOPHOS XG 3D is precisely tailored to the everyday routines of a dental private practice: it can capture a patient’s whole jaw in a single span. The field of view is large enough to avoid the stitching of several 3D x-ray images and thus multiple exposures to radiation. Yet it is also small enough to be a time-saver in diagnosis, and very cool looking! More comfortable for you: No biting down on uncomfortable pieces of plastic. High-quality images: Blurry x-rays are a thing of the past. The Sirona 3D cone beam produces sharp, high-resolution HD digital images. Versatile results: In addition to identifying disease, 3D dental images can help place implants more precisely than ever before. Low radiation: The Sirona 3D dental imaging system uses a fraction of the radiation required by traditional dental x-rays and still produces amazing images. More flexible: In addition to amazing 3D images, the Sirona system can produce panoramic 2D images, too. By taking thousands of pictures in just a few seconds, the Sirona system provides incredibly versatile images that our Dentists can use to help you maintain a healthy smile. Hopkins Dental is also pleased to offer OPG and Cone Beam imaging for patients about to undergo orthodontic or surgical treatment. Come and see for yourself what it’s like to receive a more advanced, patient-friendly experience. And there is no need to book an appointment!